Even though I am only a sophomore, I can tell you right now that February will be my favorite time of every academic year here at Penn. And this is because of one simple reason: the Penn Dhamaka annual show. 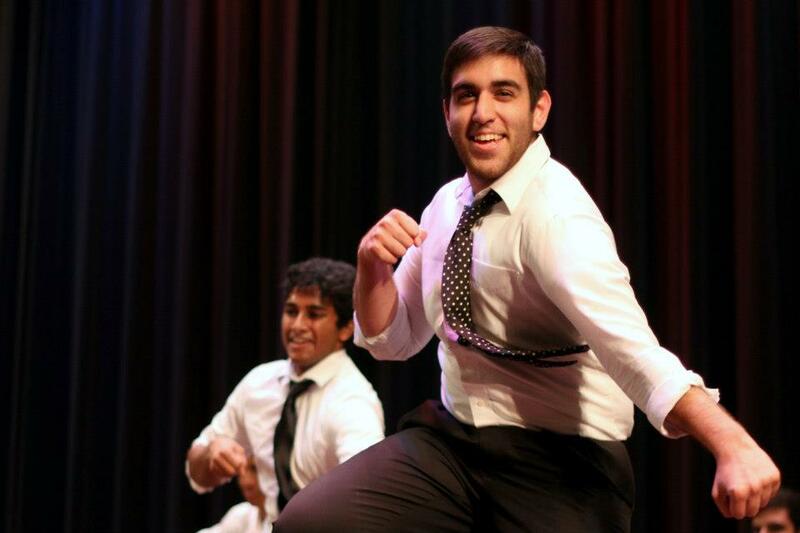 Penn Dhamaka is the University’s first and only all-male dance troupe on campus; we perform styles ranging from hip-hop and step to more traditional South Asian dance styles, including bhangra, raas, garba, and Bollywood. But to me, this dance team has been so much more than just a performing arts group; it has allowed me to continue dancing, to stay connected with my Indian heritage, to be introduced to a network of successful and inviting alumni, and to meet teammates who turned out to be my best friends. To me, the M&T program was not only an opportunity to learn finance in the famed Huntsman Hall or to learn the ins and outs of coding from computer science professors at Towne. M&T intrigued me also because of the vast extracurricular opportunities at Penn; you can literally find a group of people on this campus passionate about any issue or any activity. Ever since I can remember, my mom, who is a classically-trained Indian dancer, pushed me to perform dances at local Indian shows. Though, I will admit, I was not always fond of dancing, I knew I wanted to continue dancing at Penn after seeing my brother, who graduated from Penn last year, perform with Dhamaka. Seeing such a close group of friends share such a strong passion for an activity really attracted me. And the amazing thing is that this is true for so many extracurriculars on campus. Though Penn is considered the “social ivy” and we are known to play hard, we only do so because we work hard. For Dhamaka, that means practicing for 15 hours every week throughout the year. We come to school early from summer and winter breaks to have a “bootcamp,” where we dance for about 10 hours a day. And then hell week—the week before the show—we are dancing every second that we are not eating or attending class. Though these hours do add up, especially on top of an M&T curriculum, it never seems overbearing. Instead, the hours have become a rewarding experience because I have acquired such a passion for Dhamaka and dancing. As I said before, Penn works hard and plays hard. We are not a professional dance company; instead, we are all close friends and constantly have fun while still practicing hard. And, at our annual February show, it really all comes together. All the sweat. All the hours in the studio. All the hours critiquing. All the hours planning. Everything is all worth it when we are on that stage in Iron Gate Theater. When we barely hear the blaring music because of how loud the audience is—that’s when I know February is my favorite time of the year. That’s when I know Dhamaka lived up to all the expectations that I had for the extracurricular opportunities at Penn. If you’re interested in attending Dhamaka’s annual show on February 22nd or 23rd, go here to buy tickets! Rohan is a current M&T sophomore in the Class of 2015. He is studying Computer Science within Penn Engineering and has yet to declare his concentration in the Wharton School. Love Dhamaka, everyone should come to the show with me!